Third-party keyboards that exist on the App Store – such as the increasingly popular Swype – have promised to make typing out lengthy strings of texts on iPhone and iPad a lot easier and faster, but so far, haven’t managed to really achieve that increase in productivity that users would like. 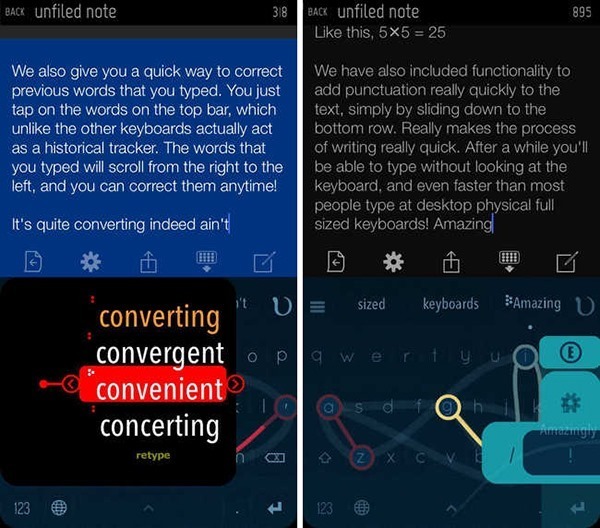 There’s no doubt that with a bit of improvement and learning from user feedback, existing third-party options will get better with time, but if you aren’t prepared to wait then there’s always the option of downloading Nintype, the new kid on the third-party keyboard block, promising typing speeds of up to 130 words-per-minute. The power of Nintype lies in the fact that it doesn’t put up the pretense of being just another keyboard that looks pretty with the intention to attract users through aesthetics and a few differentiating features. Nintype is a fully-featured, innovative keyboard replacement that feels natural, extremely fast and has an extremely minimal learning curve that should allow almost all users to get to grips with its functionality and power in a very short space of time. Plus, it also helps that it does look great when installed and features some stunning animations when typing is detected. Although it’s also worth mentioning that these animations can be turned off to save battery life. The majority of the typing power of Nintype comes from the fact that users can get to grips with it in two hands. 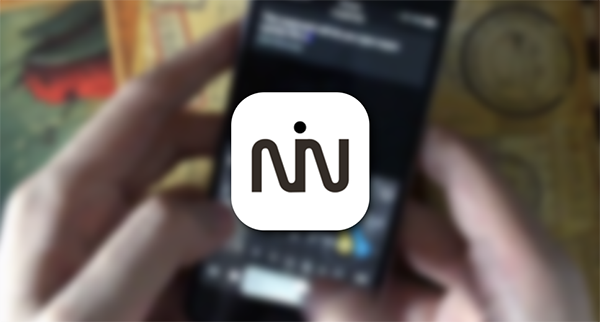 Rather than offering a clumsy typing experience built around intelligent word suggestions or predictive text analysis, Nintype allows two-finger swiping of characters to build up words and sentences extremely quickly. Combinations consisting of taps and slides provide the power to the user, but the under-the-hood analysis of what’s being inputted takes things further. Faster typing allows for Nintype to learn more efficiently and guess the correct word quicker if it’s already in the compiled dictionary. Slower, more precise typing allows users to manually enter a word into the dictionary which will then be available going forward. All of the aforementioned features would make for a great keyboard alone, but of course, there’s more. Nintype ships with a "peck-type" mode that allows simplified entering of URLs without all of the mess around predictive text and autocorrect. It also has a customizable top bar that can display previously typed words, autocomplete suggestions or potential suggestions for swiped words. One of the best features, and one that we’re sure a lot of keyboards going forward will replicate, is the shortcut system that allows for immediate input of words or pre-defined phrases by holding the space bar and sliding onto the key that phrase is saved against. Genius. For a price of $4.99, it might be a little too steep for some users. But if you consider yourself a power user, then grab it from the App Store right away. Wow. 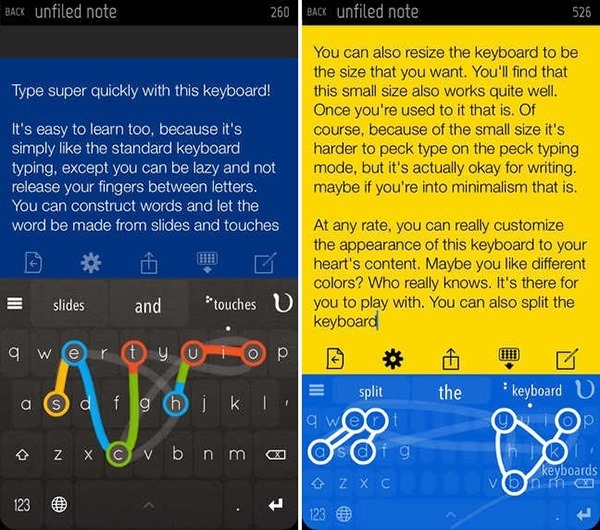 A customizable version of WordFlow from Windows Phone. WordFlow allows to hand swiping? I thought WordFlow was just another variant of single-handed swiping like TouchPal, Swype, etc. You’re right, dude, just tested it out! Sorry, I misunderstood! Ah, just noticed it’s the same guy. Great. I haven’t ever liked a keyboard as much as this one! Well worth the money. yup i totally agree with you i was one of the beta testers as well 🙂 its amazing! and ive been using this keyboard since it was available on Appstore as an app and a tweak in Cydia 😀 amazing what he has done with it so far! It is, by far, the best keyboard I’ve ever used, and a completely new concept AFAIK. 🙂 Plus, Jormy is a really nice guy, and very humble. Add this source to Cydia and get Nintype for free. Type this url in the box (cydiasource,n e t) without the spaces and switch coma for a dot in the url. Or you could, you know, support the developer. He’s a one-man shop and has spent a year working on this keyboard full time. I’ve been using NiN since it has come out and although it is incredibly fast, it is also incredibly inaccurate. Giving me “Yggdrasil” for the word “that’s” I will keep on using this keyboard to get my money’s worth, but after weeks I am not a fan.